The poles varying in height from 1 meter to 3 meters tall. Here's a relatively short one (but I found some that are just barely sticking up out of the ground). 1. 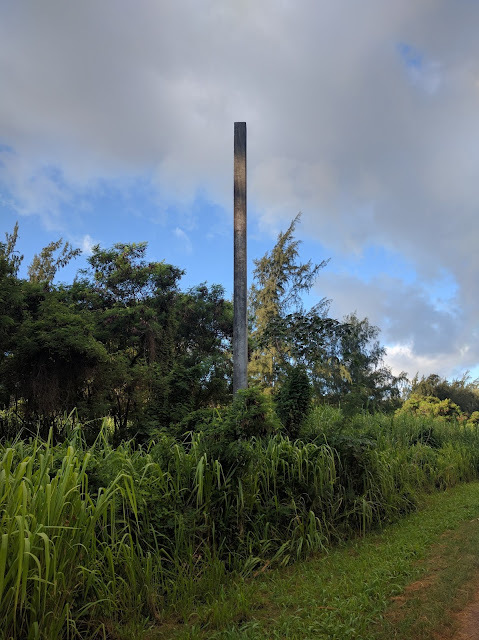 What's the story with these mysterious poles in the jungle? Why are they there? Now I know a few place names to use in my searching. 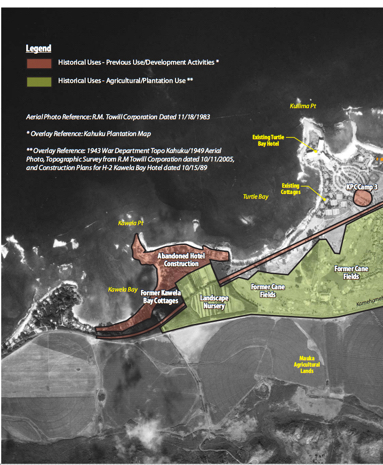 It's Kawela Bay Beach Park, with Kakipili Place and Hanopu Street nearby, with the Kamehameha Highway running along the southern edge of the park. Zooming in a bit at the place marked with the lat/long you can see the tops (white dots) and shadows (of varying lengths) of the poles. Just by poking around in the Earth view I could find 12; here I've marked 7. I found the posts, but WHY are they here? After about 30 minutes of trying all kinds of searches (including Wikimapia, Wikipedia, etc) all without any luck, I changed tactics. "...In the early 1970s, the Kuilima Resort opened and the SEIS Lands were transformed once again with the development of the original hotel, residential condominiums, an 18‐hole golf course and a wastewater treatment plant. 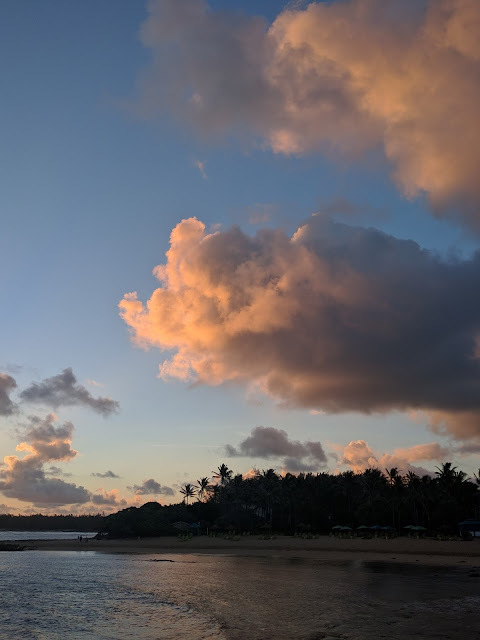 In the late‐1980s, the residential cottages along Kawela Point and the eastern half of Kawela Bay were demolished, structural fill was brought in, and construction of the foundations for a new multi‐story hotel structure began. The structure was never completed, but underground utilities and numerous concrete piles remain today..."
This looked really promising, and it gives me a bunch of new search terms to use in follow-up searches. (Kuilima Resort and concrete piles in particular). At the end of this report are a couple of useful maps that show the location of the "abandoned hotel construction" where "...numerous concrete piles remain today." This lines up exactly with the satellite image shown above. 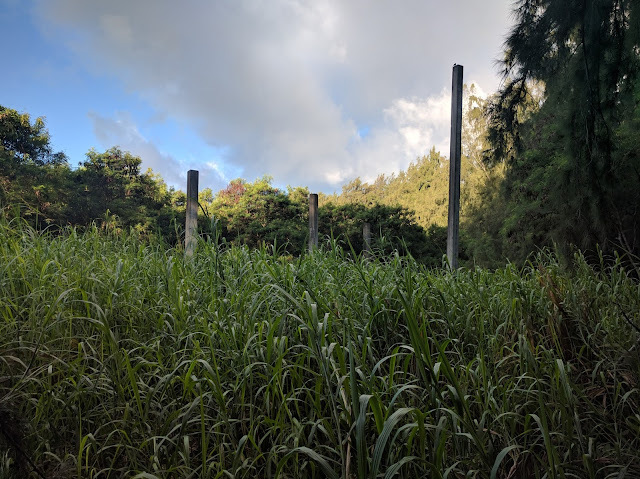 So it seems pretty clear that an expansion resort hotel was planned, and construction started, but then abandoned after a bunch of the pilings were driven into the ground (at varying heights). led to an LA Times article (from 1988) that told the story of a planned hotel/casino development by Del Webb (a famous Las Vegas casino developer) that failed. But a bit of checking into Del Webb told me that HE was the guy who built the original hotel, the one originally called Kuilima Hotel but now called Turtle Bay. Fascinating. But I thought I should do a bit more checking (I'm a sucker for running down these things). 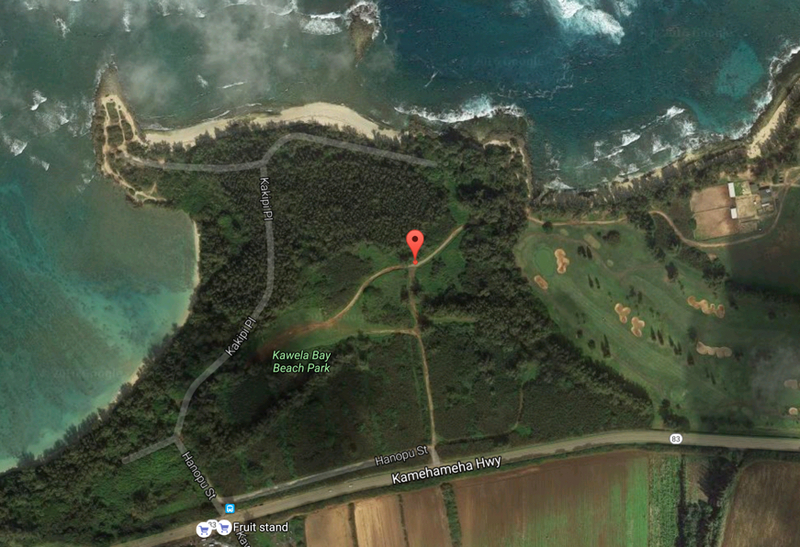 During my reading about Turtle Bay, I noticed that they offer horseback riding on the beach and through the Kawela woods. It was easy to find YouTube videos showing this, so a brilliant idea popped into my head--what if I just called the stables? "...They're leftover construction from a casino--or a hotel, I don't remember which--that the previous owners were going to build... back in the '80s, if I remember right..."
I think we've got this one figured out. 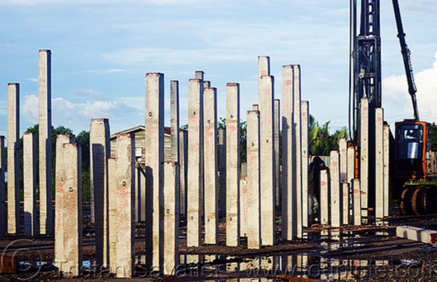 It was the beginning of work on a casino/hotel complex that was abandoned, leaving some pillars in the ground, and others in a pile, where they will wait forever to be employed. 1. Don't get hung up on just one search term--be flexible! It turned out that "pillars" was a better word than "post" or "pole." Likewise, I had a hard time finding anything until I switched my geolocation search term from Kawela Bay to Turtle Bay and Kuilima Point. Thanks to everyone who contributed in the comments section. You folks are amazing! Great work by Ed, Rosemary, Remmij, Ramón, and Niebyski. 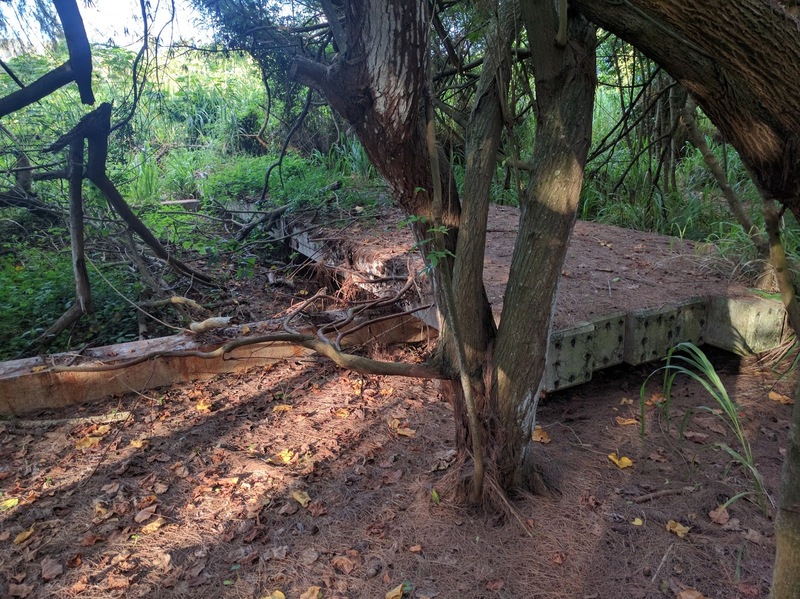 ... and I was running on a jungle path, getting my morning exercise while staying on the North Shore of Oahu. As I run or bicycle, I regularly discover small mysteries on the land. In 2013 I wondered "Why is this tree here?," and in 2014 I wondered "What are these things that I see on the horizon?" 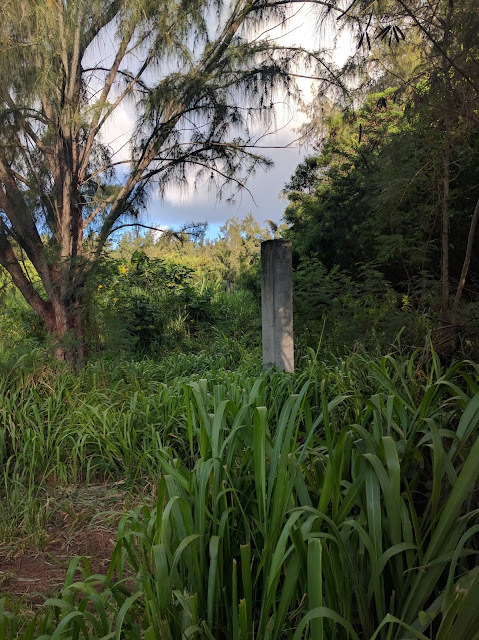 So it should come as no surprise that I would find something even more mysterious while running in Hawai'i. That seems odd and out of place. Perhaps it's just a light pole that's been forgotten about. A little farther down the trail, I find this. Another light pole? 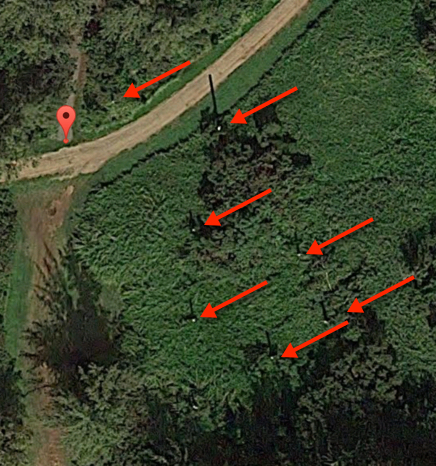 Was there a road here that was built, but never fully completed? But then I started finding more and more of these poles--some just a few feet high. The one shown below is around 6 feet (2 meters) tall. The poles varying in height from 1 meter to 3 meters tall. 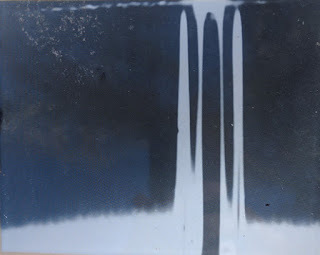 These poles were standing by themselves, and not in any obvious pattern that I could see. They didn't seem to line up. But then I found this collection. I'm not sure how many I found, but there are at least 30 poles like this of varying heights, all "lost" in the forest. 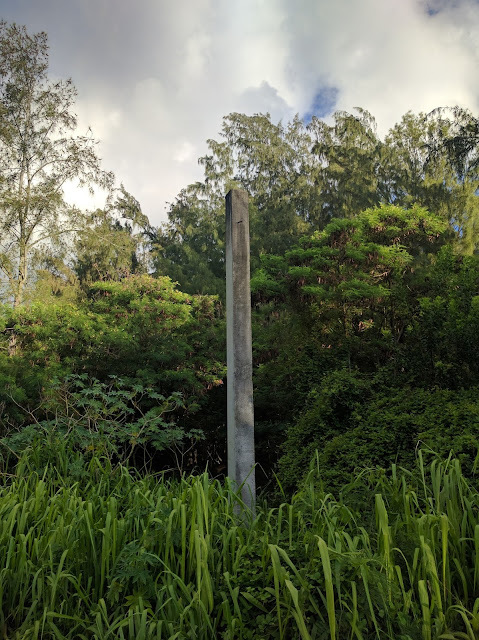 In Hawai'i, I might have thought this was the work of the menehune, the mysterious builders of Hawai'i that come and go out of human sight. But this was suspicious--someone was making something very mysterious. No matter how many poles I found, whoever was doing the building clearly had to abandon the project in the middle. Fair warning: I do NOT know the answer to this Challenge, so I'll be searching for the answer along with you. If you figure it out, be SURE to tell us what you did to determine the answer. I've only spent a few minutes on this, but I suspect this will be a tough Challenge. ... questions. But they're not quite as easy as you might think. But giving distance measurements isn't quite like measuring the size of the rug in your living room. When you measure the length of the rug, it's clear where the edge is. When you're measuring the distance to a moon, where do you draw the line? The naive interpretation is "the distance from where I'm standing to the nearest part of the moon." If you're more sophisticated, you might say it's "between the centers" (but determining the center of a planet is tricky too). Keeping this in mind, let's try to answer the Challenges from this week. 1. When thinking about the colonization of Hawai'i, I kept reading that these islands are the "most remote" island chain in the world. That is, they're relatively farther away from any other major population center than anyplace else. Is that true? What do we need to clarify here? As in the Moon-to-Earth example, we need to know where we're measuring from. 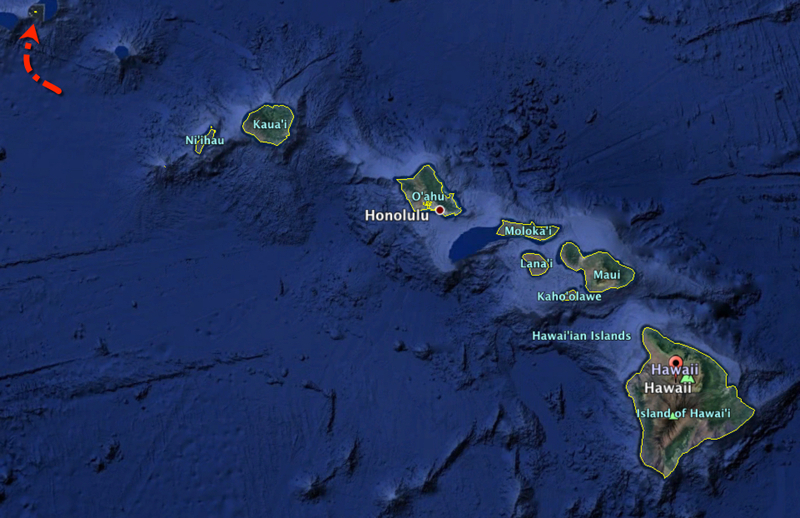 Luckily, the Big Island is literally the biggest island in the Hawaiian archipelago, so let's measure from there. Now then, what's a "major population center"? Is it any city larger than 100,000 people? Let's take 100K as our definition of "major population center." Like many research questions, it very much depends on how carefully you define your terms. IF the Big Island is your starting point, and population centers that are > 100K people are "major population centers" then the closest such city is.... Honolulu on the Hawaiian island of Oahu (with ~300K people). Oh. Maybe we meant "major population center that's NOT already in Hawai'i." I've added a couple of range circles centered on the Big Island so you can see how far away everything is. Japan is off over the western horizon, and the west coast of North America (in particular, California) is near that second, larger range ring. which led me to this list of "Largest Cities in Australia and Oceania by Population." Since the first 15 cities are in Australia (which is farther away from Hawai'i than California), we can ignore those. All we have to do is to find the distance from Hawai'i to the other cities of more than 100,000 souls. This quickly tells us that only Dili (East Timor, 234K) Hamilton (New Zealand, 224K), and Noumea (New Caledonia, 179K) are possibilities. Are there any other places in Oceania that are within the outer range ring and still have large cities?? Fiji is, but a quick search shows the largest city there is Suva, at 88K. I checked Polynesia, French Tahiti, etc., all by following this query pattern. Nothing else even comes close. So let's check on Dili, Hamilton, and Noumea. 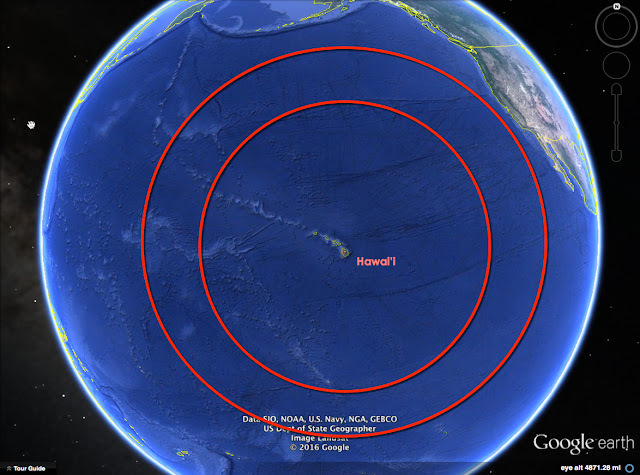 As you might recall from an earlier SRS Challenge about Great Circle distances, it's easy to find a tool to give you the direct, Great Circle Route distance from Hawai'i to any other place. With my query [ great circle distances ] I found the FreeMapTools web page for calculating distances between named locations. but when I started checking 100K+ population cities in California, I just worked my way up the coast, looking for distances. The next major population city going north is Portland, Oregon, at 2957 miles. Now that we've figured out the distance between the Big Island and the closest "major metropolitan area," (which is Santa Maria, California). Now we need to look for other islands that are also remote. What would those be? 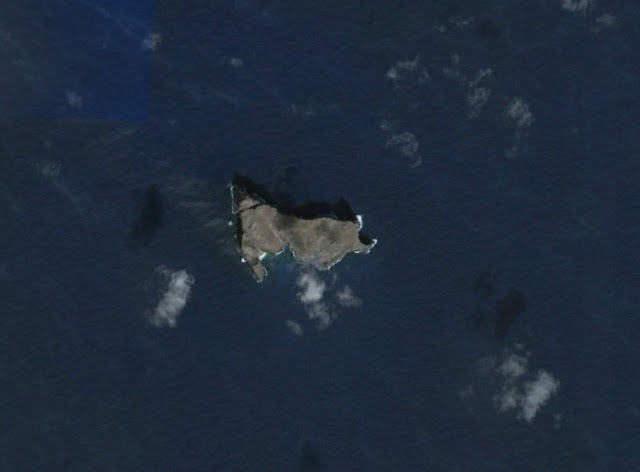 gave me a list of a couple of interesting remote islands, but just scanning the list shows that only Tristan da Cunha (in the middle of the South Atlantic) even comes close to the remoteness of Hawai'i. By repeating this process (looking for the nearest land masses and 100K+ cities in those "nearby" locations) we find that the distance from Tristan da Cunha to Rio de Janiero (Brazil) is 2076 miles, and the distance to Cape Town (South Africa) is a mere 1046 miles. Both cities are closer to Tristan da Cunha than any equivalent city is to Hawai'i. So... by our definition (distance from the Big Island to a city with more than 100K people living in it), Hawai'i really IS the most-remote island on the planet. from the mainland. Don't try to swim it. 2. 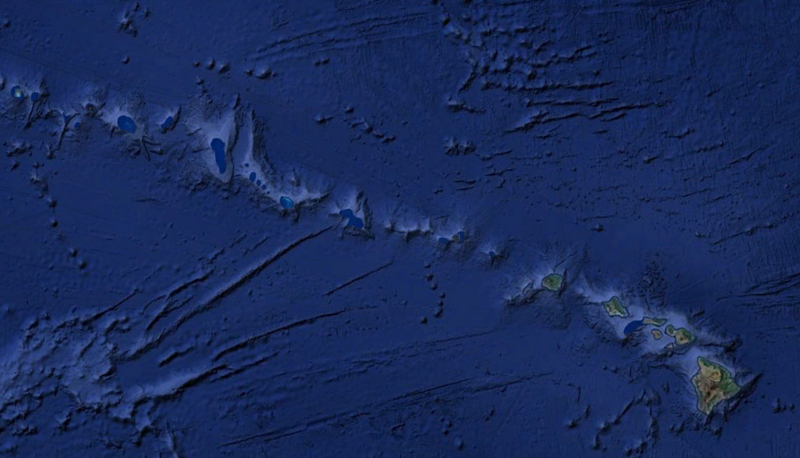 This might seem obvious, but maybe it's more subtle than you think: How many islands ARE in the Hawaiian islands? 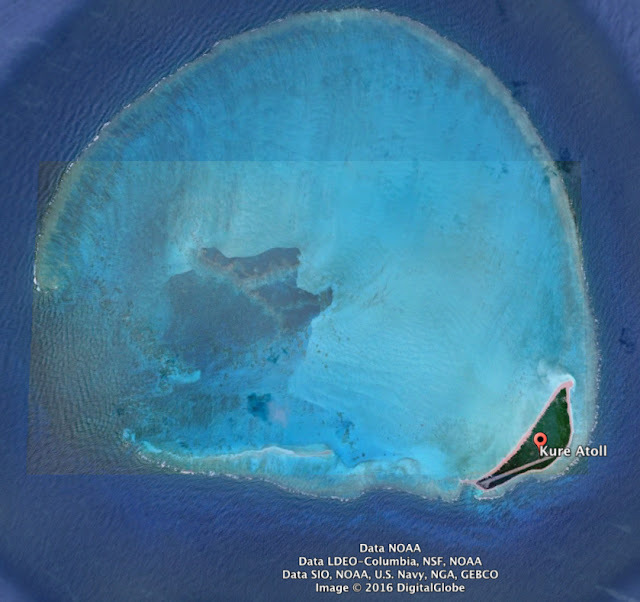 According to the official Google results, it would appear to be 8 islands. 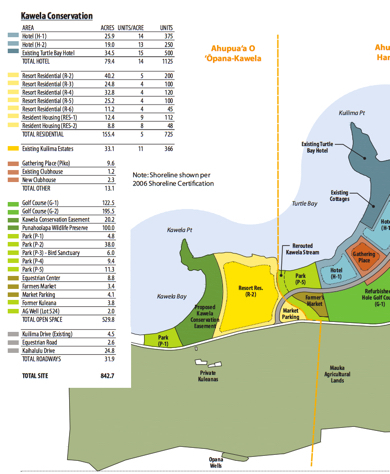 Note that it says "eight MAIN islands" (emphasis mine). Whenever you see something like that, you should be cautious about accepting the answers as-is. But let's look at Google Earth again. That's the Big Island down in the lower right, with Maui, Kauai, etc. all lined up nicely. In Google Earth you can turn on the "Borders and Labels" layer and see this. Note that the borders are drawn in bright yellow. You can see all 8 islands. But wait a second! See that little yellow dot in the upper left? (With the red arrow pointing to it.) What's that? The Hawaiian island of Nihoa. 1 mile wide by 0.5 miles tall. Looks like an island to me! This is Nioha--a small island that's about 130 miles NW of Kauai. If you look back at the first image of the Hawaiian archipelago, you can see that there's a long chain of islands heading off that way. Nioha is roughly in the middle of that long chain. 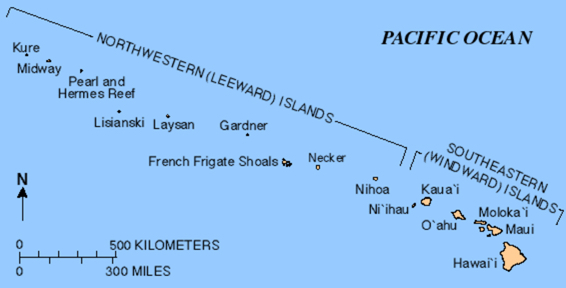 As you can see, there are at least 17 islands in Hawai'i. But the problem of counting islands gets more complicated when you zoom in. 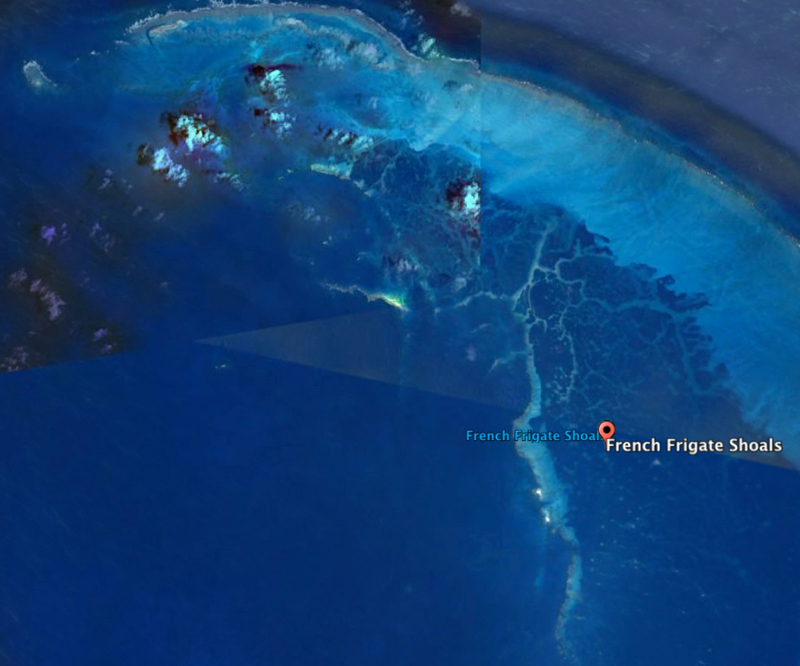 Here's a picture of the French Frigate Shoals (from Google Earth), located in the center of the above map. The biggest island in the center is around 0.8 miles long. There are other, really tiny islands in there as well. So, when do you stop counting? Is a 1 square meter rock that's exposed only at low tide REALLY an island? 3. I know the waters around the island are deep--but HOW deep? What's the deepest place within the Hawaiian archipelago? By this point you should see the pattern. What do you mean by "within the Hawaiian archipelago"? Since the Challenge was fairly imprecise, you have to make your own determination--and then tell us what it is! I'm going to limit "within" to mean either between the islands, or within 10 miles of the islands. To begin this search, I knew I wanted to see a map of the ocean floor. But how do I find that? to learn what that term was. It's bathymetric! Obviously, there's some seriously deep water (the area tinted in pink) to the east of the islands. 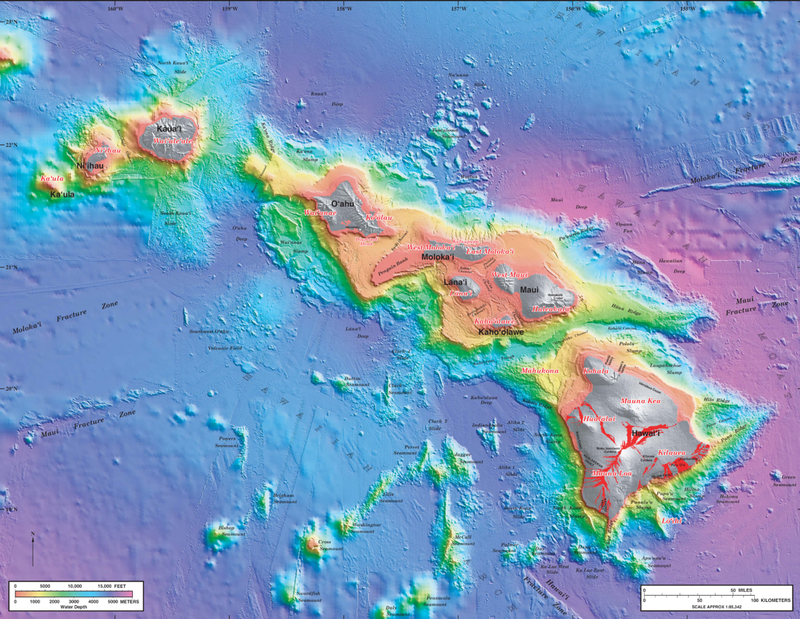 If you zoom in, you'll see these areas are called the "Maui Deep" and the "Hawaiian Deep." Why the quotes? Why the term "bathymetry"? I had to quote "Maui Deep" because there are lots and lots of web pages with the word Maui not so far from the word deep (usually vacation and tourist sites that promise "... the deep allure of Maui shores..."). And I included bathymetry as a context term (that is, a term you add in order to limit the results to pages that are on this particular topic). Even so, the web results aren't that great... until I limited my results to just Books. THEN I found a good number of oceanographic texts (1, 2), all of which say that the Maui Deep and the Hawaiian Deep are both "in excess of 5500 meters." That's about all they'll say. Still, that's plenty deep, and as we can see from the map, the deepest parts of the ocean in that area. ... I start to wonder about the geography of this island chain, this group of beautiful isles so far away from everything else. Naturally, I start to wonder a few things. The Challenges this week might require pulling information together from more than one source. Can you answer these Challenges three? Let use know not only where you found this information, also also your chain of thought that led you to look in those place. Did you need to learn any special terms in the process? 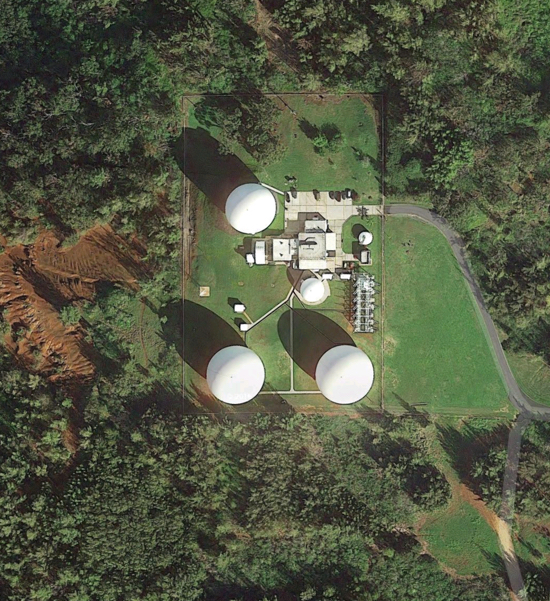 Answer: Pineapples and radomes in Hawaiʻi? So here's a quick summary of how I found the answers to last week's Challenges. and found lots of articles, but as I read them, I realized the numbers were all over the place. The dates of the articles were from the 1990s up to 2015, with huge variation in the numbers depending on the year. It's clear I needed to restrict the articles in just the past year. The most-visited tourist attraction in the state of Hawaii is the World War II Valor in the Pacific National Monument (also known as the Pearl Harbor bombing site). The second most visited attraction is the Dole pineapple plantation near the North Shore of Oahu. 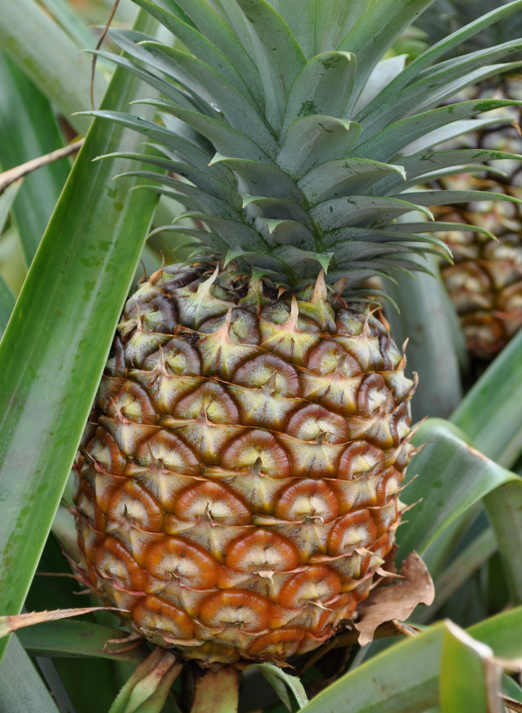 It’s odd, when you know that 300 billion pineapples are produced worldwide, but only around 400 million come from Hawaii. That’s only 0.13 percent of all the pineapples sold each year in the world. 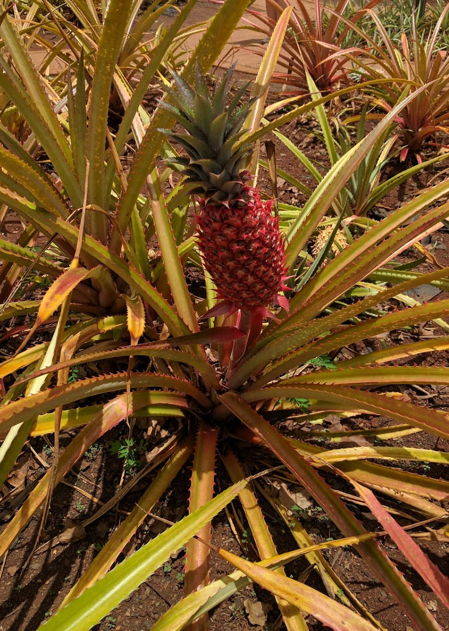 Once upon a time, Hawaii had lots of land dedicated to pineapple production, but now, pineapple production is primarily for local consumption, just as it was back in the day when James Dole first started commercial pineapple. As an indication of how rapidly these things change, look at the agricultural map above (from 2015). See that big band of sugar in the middle of Maui? That's all gone. 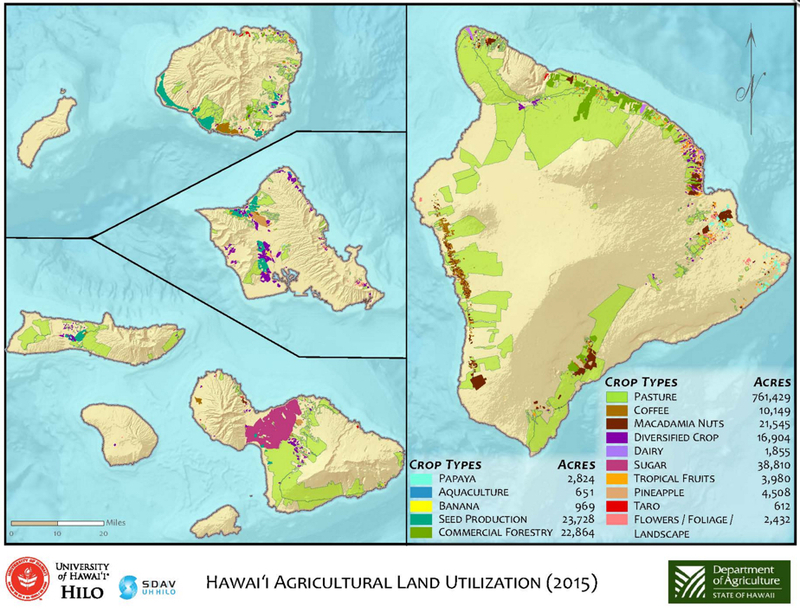 Those 38K acres were the last vestige of sugar production in Hawaii. Alexander & Baldwin (the company that ran the Hawaiian Commercial and Sugar Plantation on Maui) announced that they were discontinuing all sugar operations by the end of 2016. Big lesson here: Especially for things that can change rapidly (e.g., economic and agricultural variables), be sure to get the most recent data! on Oahu. This is NOT a smooth pineapple. The Smooth Cayenne variety. Notice the thornless leaves. If you enter this lat/long into Wikimapia, you get this when you roll-over the box that shows up at this site. 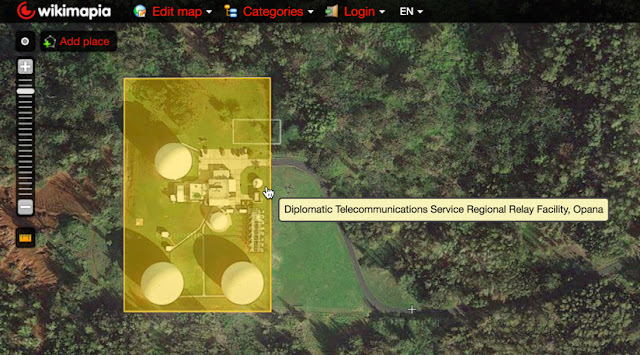 tells us that this set of domes is part of a system of telecommunications networks that supports foreign affairs agencies in Washington, D.C., and U.S. diplomatic missions abroad. It is run by the United States Department of State Diplomatic Telecommunications Service Program Office (DTSPO). which pretty much confirms what we're looking for in this Challenge. This really is the Regional Relay Facility for the DTS service. 4. (Extra credit) This radome site is clearly very modern, but this isn't the first radar installation near this location. There was a historically very famous site near here. 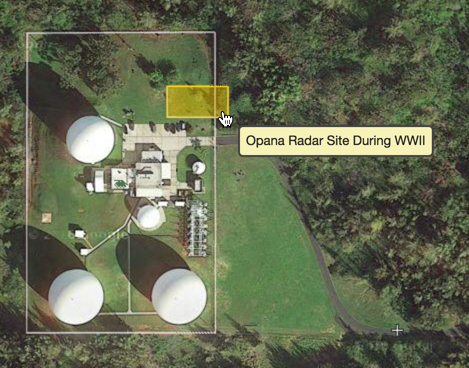 Can you figure out what that radar site was and why it's so famous? 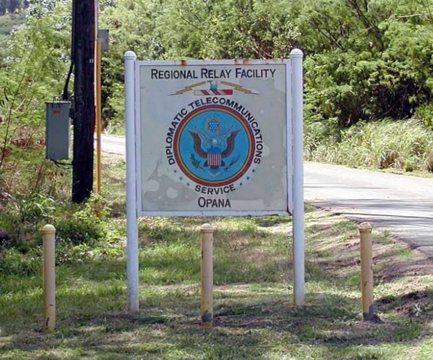 On Thanksgiving Day in 1941, the Schofield Barracks radar set was moved to the Opana Radar Site, a location 532 feet above sea level with an unobstructed view of the Pacific Ocean. The set comprised four trucks carrying the transmitter, modulator, water cooler, receiver, oscilloscope, operator, generator and antenna. The men reported their findings to the temporary information center at Fort Shafter. The information center staff had gone to breakfast and Lt. Kermit Tyler received the report. Tyler reasoned that the activity was a flight of Army B-17 Flying Fortress bombers, and advised the radar crew not to worry. Tyler told investigators that a friend in the Bomber group advised him that whenever the radio station played Hawaiian music all night, a flight from the mainland was arriving, and using that for navigation homing. Elliot and Lockard continued plotting the incoming planes until 7:40 when contact was lost. Shortly before 8:00 am they headed to Kawailoa for breakfast and only learned about the attack when they arrived. Elliot and Lockard rushed back to Opana and operated the radar until the attack ended." All the radar operators could tell was that there was a big signal out there. By measuring the time delay, they could tell the distance, the heading, and ground speed. (This was fairly early radar--it didn't have the sweeping line display that you usually think of for radar.) It's easy to see how they might have thought this was the incoming flight of US B-17s. which then leads to additional information from the IEEE about the Opana radar installation in 1943. 2. Use Streetview to get additional information by "looking around" as though you were there in person. You'd be surprised how often you can figure things out just by looking. Streetview makes this possible! 3. 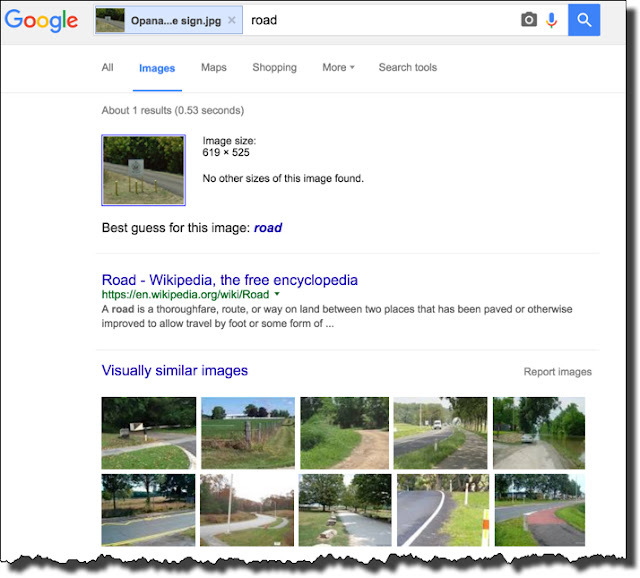 You can guide Search-By-Image by adding in information to the query. 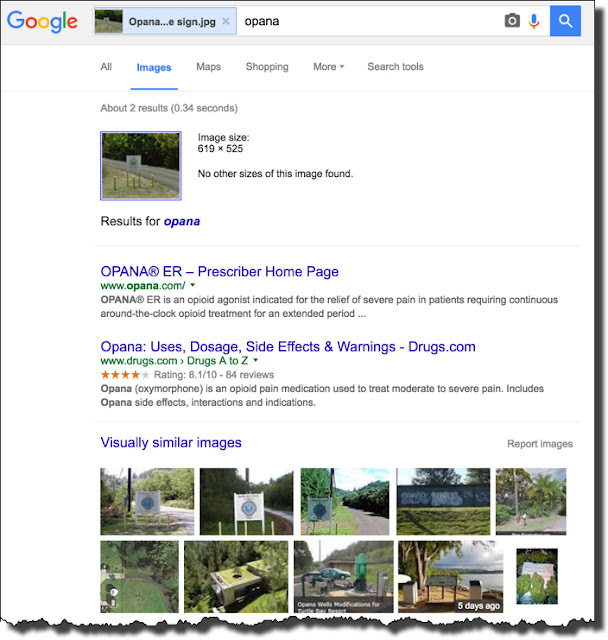 The ability to add in "context information" to a Search-By-Image is often incredibly powerful. 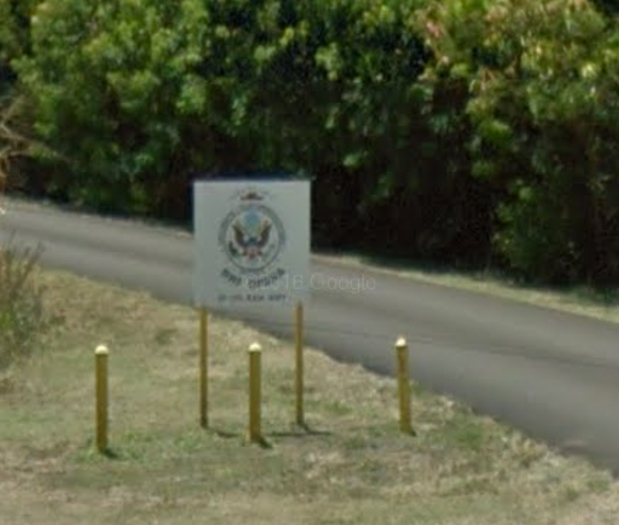 In this case, we were able to find a high-resolution, in-focus version of the sign we were looking for. This same trick can be used to find focus in on a search topic when you're getting too many confusing results. 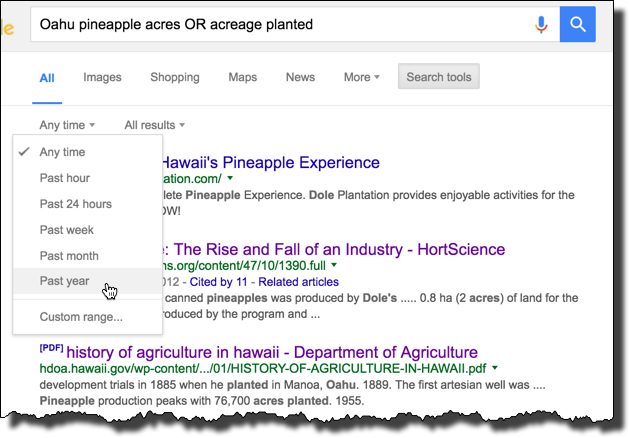 Adding in topic or location information can often get you exactly what you seek. Hope you enjoyed this Challenge!